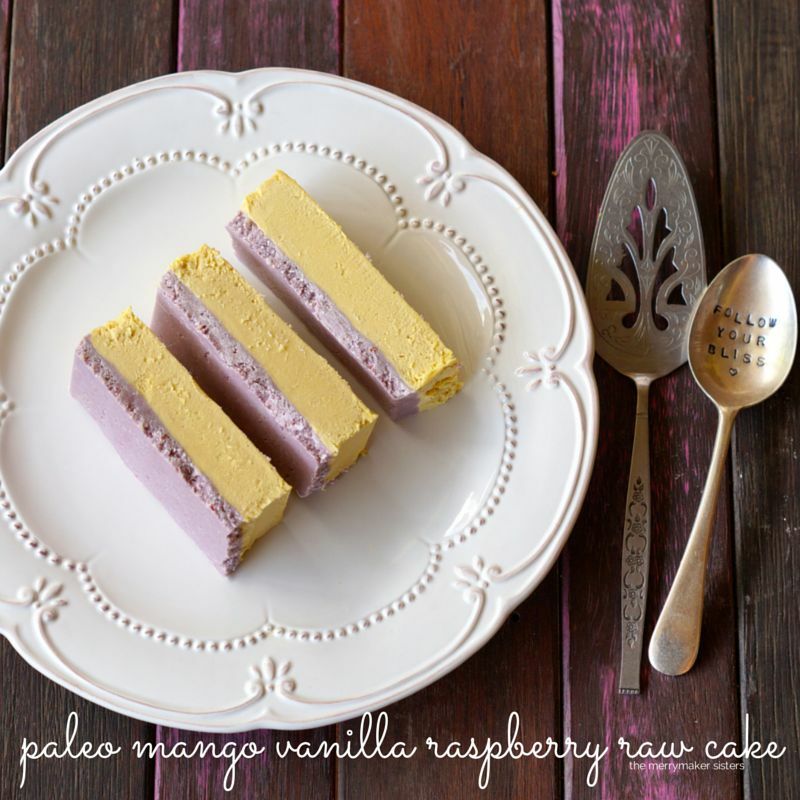 Paleo Mango Vanilla Raspberry Raw Cake. 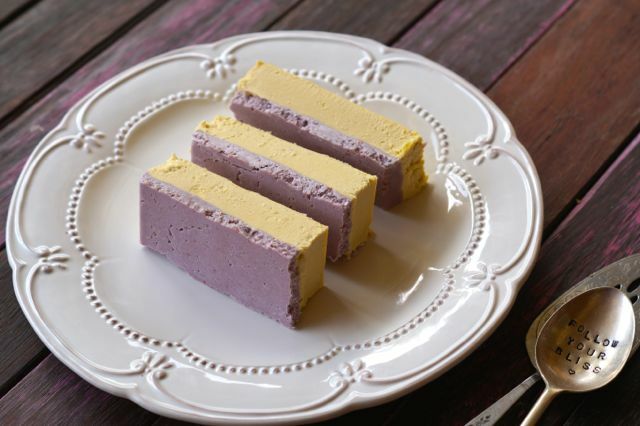 Six words: Paleo Mango Vanilla Raspberry Raw Cake. Mango + Vanilla + Raspberry pretty much = the best flavour combination in history of all summery recipes. We’ve been testing out loads of recipes using Heilala Vanilla products and we’re absolutely LOVING them. Why? Well, Heilala is 100% vanilla. It’s the richest grade of vanilla in the Asia pacific region (meaning the taste is outta control yum), it’s directly from plantation to kitchen (meaning less handling and processing, yay!) AND they are fair trade. All #winning! You’re absolutely going to LOVE this Mango Vanilla Raspberry Raw Cake! It’s SO pretty, easy to whip up and tastes all kinds of yum! Enjoy! What’s even better? You can get your hands on Heilala Vanilla with a 20% discount (YAY) for the whole month of December! 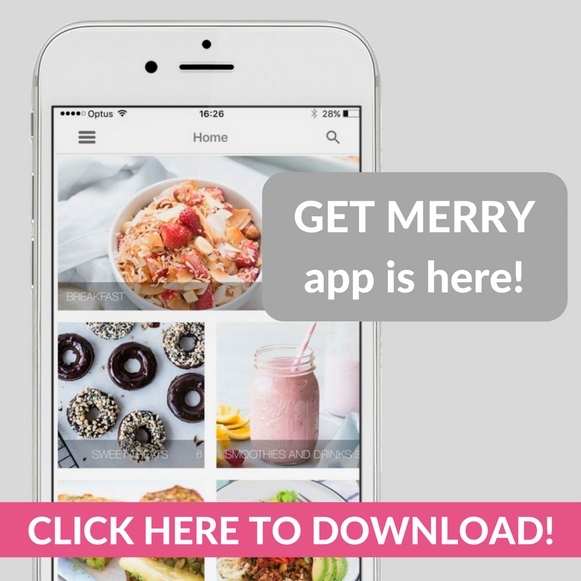 All you have to do is enter the coupon number “merrymaker” when you checkout! Line a 20 x 20cm slice tin with baking paper (or use a silicon mold). Start with the base. In a food processor (we use our vitamix) whiz the coconut until crumbly. Add the coconut oil and pureed raspberries and whiz for 2-3 minutes or until it becomes a thick, crumbly mixture. In a food processor (we use our Vitamix) whiz the mangoes, macadamia nuts, coconut milk and coconut oil until super smooth. This will take around 5 minutes. Add the Heilala Vanilla Extract and sweetener, whiz again until combined. Place the cake back into the freezer for at least 1 1/2 hours before slicing!